Refined suiting meets feminine detail on this trouser. Refined suiting meets feminine detail on this trouser. 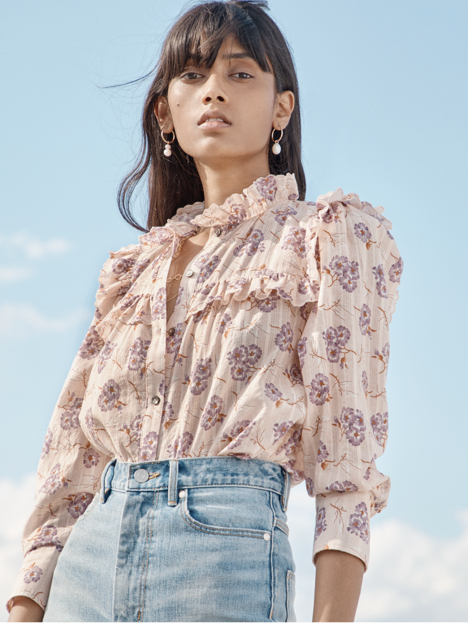 Cut with a flattering high waist and slim tapered leg, it is finished with scalloped edges that lend a polished balance to the romantic tops of the season. Inseam: 28" Front Rise: 14 1/2" Leg Opening: 13 3/4"